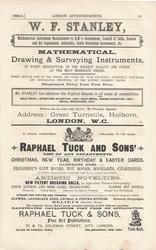 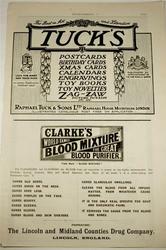 right top:- THIS IS TO INTRODUCE RAPHAEL TUCK & SONS' PRIVATE CHRISTMAS GREETING CARDS SO LARGELY USED BY THE ENGLISH ARISTOCRACY AND THE ENGLISH UPPER CIRCLES GENERALLY. 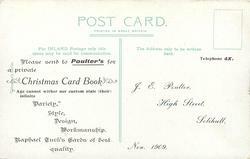 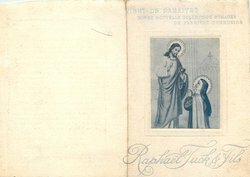 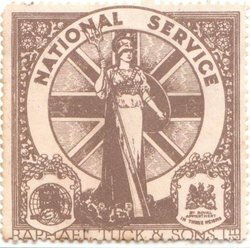 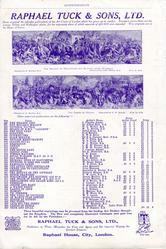 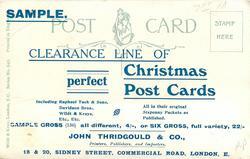 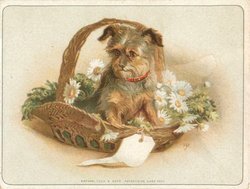 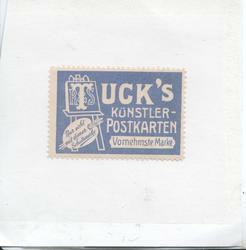 below:- SPECIMEN BOOKS CONTAINING UPWARDS OF 100 OF THESE SPECIAL GREETING CARDS SYMBOLIC OF THE SEASON, ALL BEARING THE STAMP OF INDIVIDUALITY, AND TO BE IMPRINTED WITH THE SENDER'S NAME AND ADDRESS, ARE NOW IN OUR POSSESSION, AND WE RESPECTFULLY INVITE AN EARLY VISIT FOR THEIR INSPECTION hand-stamp of J.H. 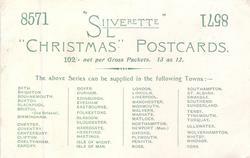 SMITH FRANKLIN, PA.
no tuck information apart from the Trademarked name"SILVERETTE"
on back PLEASE SEND TO POULTER'S FOR A PRIVATE CHRISTMAS CARD BOOK. 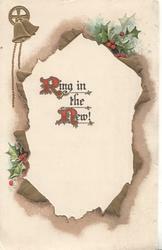 continued from back:-"AGE CANNOT WITHER NOR CUSTOM STALE (THEIR) INFINITE VARIETY"